Be Courageous! Do hard things. Don’t waste your life. Be candid. Tell the truth. Don’t fear what others think about you or the God given passions of a Godly man’s life. Accept your role as a leader, and lead! Take responsibility! Take responsibility as the one who will pastor, provide, and be the prophet for your home. Study the Word and teach it to your family. Set the agenda for how your home will honor the Lord. Work hard! Work hard at everything. Stop whining. Stop letting your wife work harder than you. Show your kids that hard work is good. Don’t forget the balance of rest and avoid work idolatry. Love your wives! Paul said we should love our wives as Christ loved the church. Christ gave himself up for her. Sacrifice for her well-being. How are you at demonstrating Christ’s love for the church as you love your wife? Stop being selfish. Be a warrior ready to do battle over things that take away your attention from fulfilling your role as a husband. Serve your family! Let your children see that you love Christ, you love your wife, and you love them. Be wildly consistent to serve your family as its leader. Tell other people no. Make family a priority, but not a deity. Scripture is sufficient for Teaching/Doctrine: It tells us what is right. The Word here for “teaching” (didaskalia) means, the content that is to be taught, the doctrine that we teach, and even the act of teaching itself. Paul tells Timothy here that there is one place to get your doctrine from. That one place is the God-breathed (inspired) scriptures. 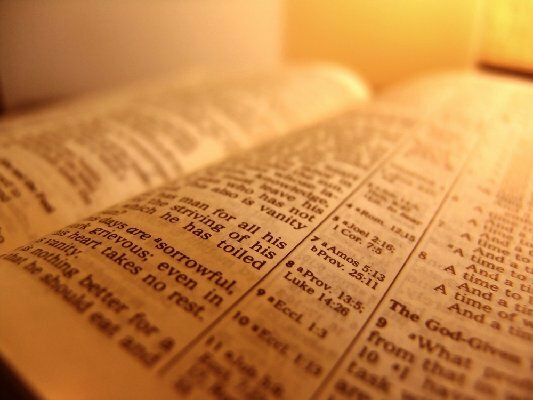 Psalm 119:160, The sum of your Word is truth, and every one of Your righteous ordinances is everlasting. John 17:17 Sanctify them in the truth, Your Word is truth. Romans 1:16 For I am not ashamed of the Gospel for it is the power of God unto salvation. 1 Corinthians 15 For I delivered to you as of first importance which I also received that Christ died for our sins according to the scriptures, and that He was buried, and that He was raised on the third day according to the scriptures. Scripture tells us that faith comes by hearing and hearing by the words of Christ. Romans 10:14; 17 How then will call on Him whom they have not believed? How will they believe in Him whom they have not heard? And how will they hear without a preacher? So faith comes from hearing and hearing by the word concerning Christ. As Christians we have convictions. These convictions are informed by the scriptures and are often confirmed in the world. We often call what we believe doctrines, or teachings from the scriptures. Let me be clear: All doctrine must come from scripture. Otherwise, where does it come from? The Bible never views homosexuality in a positive light so I can’t mention that the bible teaches homosexuality as a “right” doctrine. Let me say this: I am not a homophobe. I have a deep commitment to understand and following the scriptures. The scriptures call out homosexuality as sinful. Yes, you can find people who will justify the lifestyle. The Episcopal Church, specifically the Anglican Communion, has destroyed their hermeneutical heritage to accommodate cultural norms. But as a Christian I can’t allow cultural norms to tell me how I should believe. As a Christian I trust the Lord and His Word. I want to be very careful as I read and interpret the scriptures. I can take full confidence, no matter what circumstance I find myself in, no matter how the culture tries to sway me, that God is not silent. He has spoken. He has not left me alone in this world to follow whoever has the loudest voice. From that, I am encouraged and take confidence. 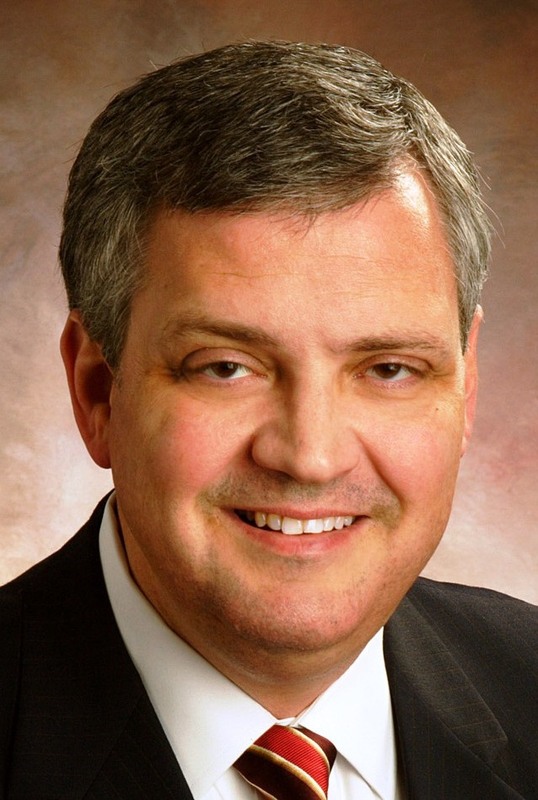 If you don’t know Dr Mohler, he is a theologian and serves as president of The Southern Baptist Theological Seminary – the flagship school of the Southern Baptist Convention and one of the largest seminaries in the world. He is a brilliant cultural spokesman and is always pastoral in his approach to relevant issues. His website is www.albertmohler.com . Recently, there has been more and more discussion and divide between progressive Christians (liberals) and evangelical Christians (conservatives) over “culture war” issues. Namely, what they believe concerning marriage/sexual ethics and abortion. As I read articles and blogs related to these views I was reminded of J. Gresham Machen and his book Christianity and Liberalism. The book was first published in 1923 and is a great defense of Orthodox Christianity, answering many liberal objections of the day. Machen nailed the foundational issues at stake as he wrote about doctrine, God and man, the Bible, Christ, Salvation, and the Church. I, too, want to point to that foundational battleground and say that the “culture wars” still have to do with where doctrine comes from, the Bible. The battle for this sacred text goes on today and is of utmost importance. As a follower of Christ I believe that the bible is trustworthy and to be interpreted with sound methods. Specifically, we believe the historical-grammatical method of hermeneutics is most accurate and helpful. This method seeks to understand authorial intent through context, grammar of the original language, and how the church has historically interpreted the text. This method, by the way, is the same method that conservative justices use as they interpret constitutional issues (i.e. authorial intent). To clarify, one saying I remember as I was learning this method (haven’t arrived, still learning) said a text of scripture can never mean what it never meant. Those who oppose conservative “culture war” views do so, on the basis of some other kind of hermeneutic. Many of them would say that the bible is a document whose central interpretation changes with the culture. I disagree. What I hope to accomplish in these posts is to argue that scripture is sufficient to speak into our lives and cultural norms are not. I want to do this through an exegesis of one of my favorite texts of Scripture, 2 Timothy 3:16-17. Through these series of posts I will share excerpts from a sermon that I have preached several times. This is an early form of it titled “The Sufficiency of Scripture”. When we say sufficiency we aren’t just talking about the inerrancy of scripture, but rather inerrancy lived out. Sufficiency means, according to Jimmy Draper and Ken Keathley in their book “Biblical Authority”, that “the Word of God has the ability to address every area of human existence”. So we are saying that scripture, correctly interpreted, accurately addresses every situation of life. To say that the bible is sufficient is to say exactly what 2 Timothy 3:16-17 says: that All scripture…is profitable for teaching, for rebuking, for correcting, for training in righteousness…to make us complete, equipped for every good work. What the bible gives are a set of clear teachings, principles, and commands that provide the Christian with the framework and tools to deal with all the issues of life. In 2 Timothy 3 Paul exhorted Timothy to look to the scriptures for teaching doctrines, presenting reproofs, providing corrections, and supporting training in the knowledge of God. Father, help me to always be reminded of the ugliness of sin. Give me grace to flee from it. Give me grace to learn from it. May it make me always flee to Christ! I finished Voddie Baucham’s book, Family Shepherds, Calling and Equipping men to lead their homes a few days ago. There are so many great things packed into this small book I would recommend it to anyone. Also, it was a fast read (the book is less than 200 pages)! Its brevity doesn’t mean that it lacks for content. A few things that I liked the most were: a clarification of the gospel, an exposition of the wickedness of feminism, and the challenge to be a spiritual leader in the home. Below I want to share something small from the book. I love the gospel. It is how I am saved and how God sanctifies me each day as I remember Christ’s provision set forth in the gospel (read A Gospel Primer for Christians for understanding how the gospel relates to Sanctification). One thing that is promulgated in weak pulpits is the idea of living the gospel, rather than speaking the gospel. Just a few weeks ago I had lunch with a gentleman who shared with me an experience where a man was consequently converted because he “experienced” the gospel through others, with no declaration of the gospel (written or spoken). Now, obviously we want to live in a loving and pure way. We don’t want our actions to be a stumbling block so that others don’t want to hear anything we say. But the gospel needs to be proclaimed. Indeed, the gospel must be proclaimed! If souls are going to be saved they must hear the truths of the gospel. The Holy Spirit then does His illuminating work. This is the way that God has designed conversion. “The Gospel is news, first and foremost. The Greek word (transliterated) evangelion refers to news, an announcement of a message. Lord, help me be O.C.D.